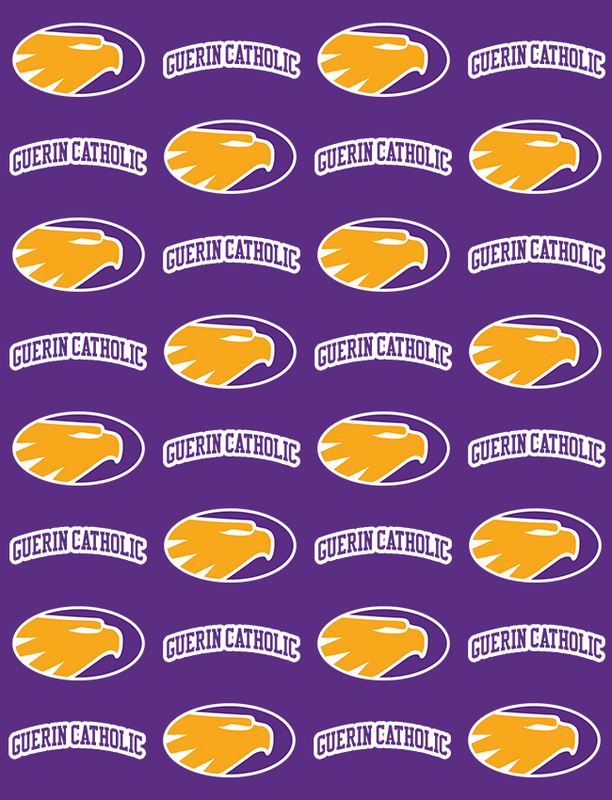 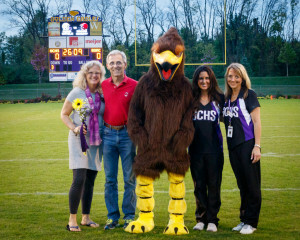 Guerin Catholic celebrated Senior Night before the Varsity football game on Friday, October 6th. 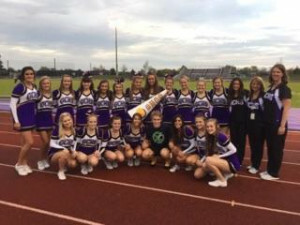 Guerin Catholic cheerleading was proud to honor two Varsity cheerleaders, Sophia Schaeffer and Morgan Hitchcock, along with our school mascot, Bobby Speck. 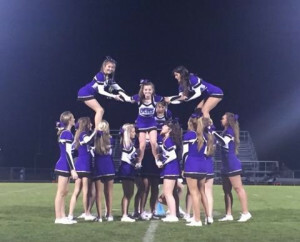 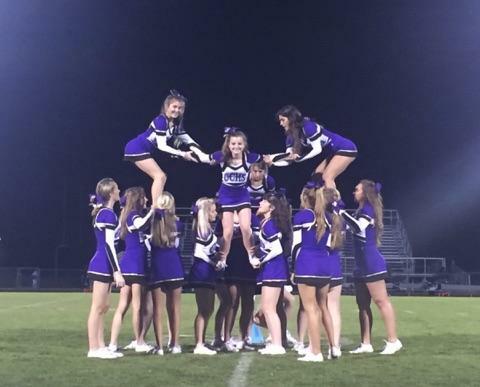 Cheer Captain, Sophia Schaeffer, is a four year member of the GC Cheer Team and was recently named a UCA All American Cheerleader. 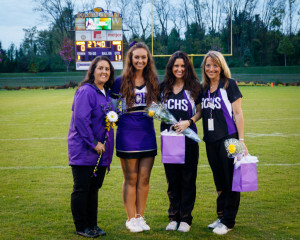 Her future plans are to apply to a direct admit nursing program. 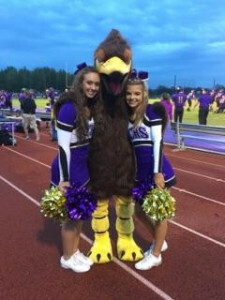 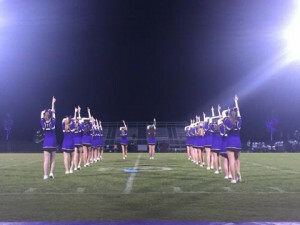 Senior Assistant Captain, Morgan Hitchcock, is a four year member of the GC Cheer Team. 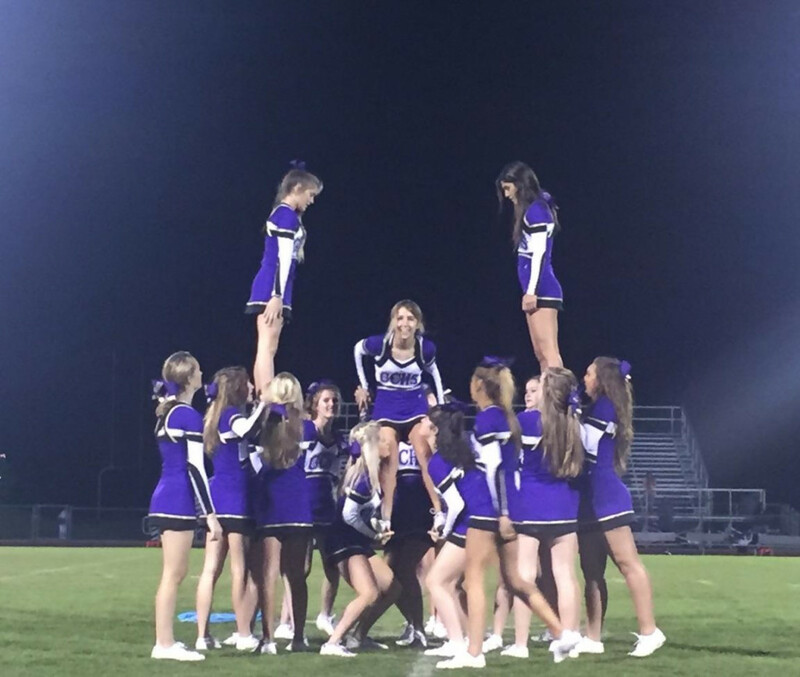 Morgan plans on attending IU next year and would like to study Pre-Law. Mascot, Bobby Speck, is a two year member of the team. 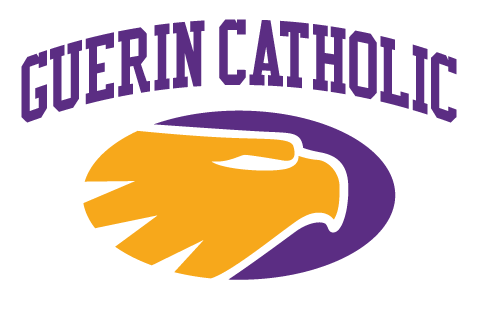 His ability to help lead the student section, and also meet and greet Guerin Catholic fans of all ages, has made Bobby a wonderful asset to the team. 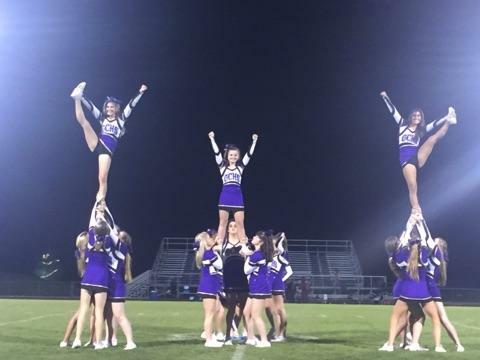 The cheer team is very grateful to Sophia, Morgan, and Bobby for their hard work and dedication to GCHS Cheer!